So I brought Haru to ride a sampan. Luckily, we ended up at the right port and village. In Sarawak, there’s a dialect/language called Sarawak Language or Sarawak Malay. It’s spoken widely by local especially the natives, and non natives who hang out with natives a lot. Lol. Here’s some example of words, to give you an idea how it would sounds like..
Kuching City is divided by a river. Although there are bridges across the river but there is one traditional and famous local way to travel across the river. 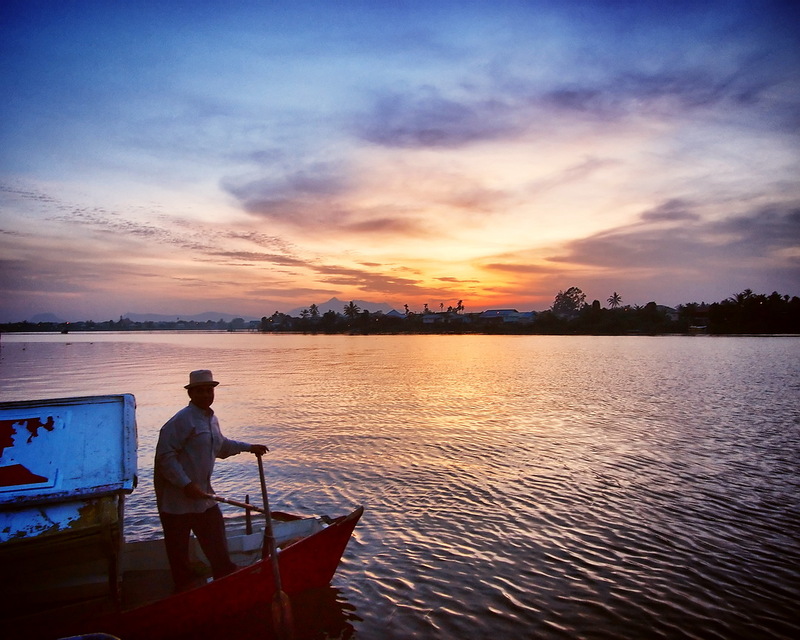 That is via the sampan service, Pak Tambang which fetches people across the river in a small boat for only 50 cents. Many times cheaper than driving all the way across the bridges. This sampan service has been exist and operating since Brooke Era which is like more than 100 years ago. I do not have photos from 100 years ago but this is the photo probably 40-50 years ago. 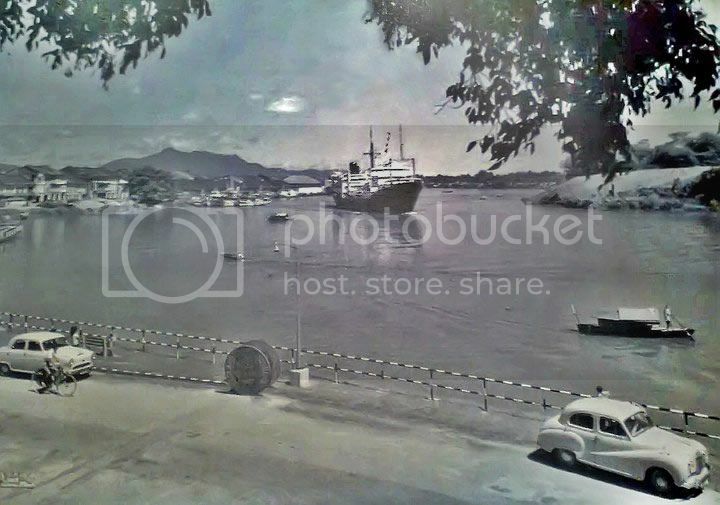 The little boat on the right is the Pak Tambang. It’s quite a rare chance to ride a wooden boat these days especially in the cities of Malaysia. Do have a try if you’re here before they face extinction when the government build the Golden Bridge over it. Oh, the best Layered Cake is located opposite too, another reason for you to cross the river hahaha. Photos from Paul Sarawak, Robin Wong, and Sarawak Government portal. Posted on September 2, 2013 by Jian Akiraceo. This entry was posted in Sarawak, Trip and tagged cartoon, cute, Kuching, miao, pak tambang, sarawak river, tourism, travel, wafu pafuc. Bookmark the permalink. Ahaha…may be Haru will take you to explore Holand then. Haru is just so cute… until he pretend to understand what the pak tambang guy said. LOL! That one i really speechless. 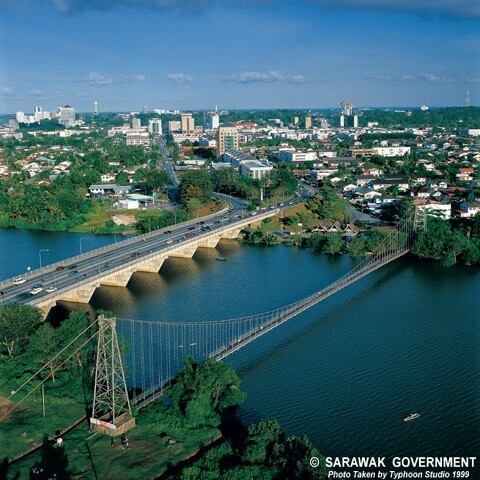 3 weeks ago I visited Kuching and crossed the Sarawak river! Near the Kuching triangle.. It was fun. OMG my photos featured on akiraceo!!!! In my kampung, we used to cross the Muar river with sampan also, the medium one which can carry motorcycle/bicycle on it for 50 cent… they paddle the sampan using oars and not engine. Now, there is no more since they built a bridge across the river. woah there’s a song OAO?? Well. 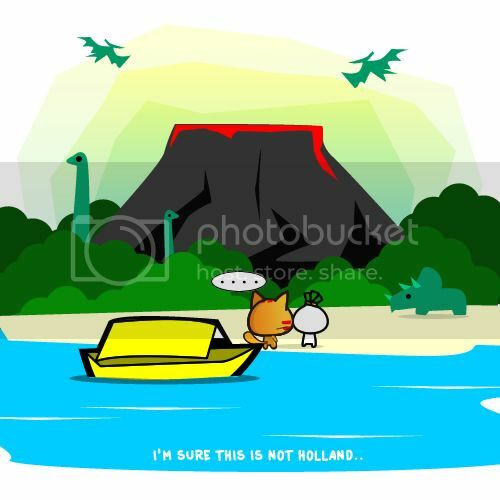 like never “HollanD” in the end. I love the first photo. 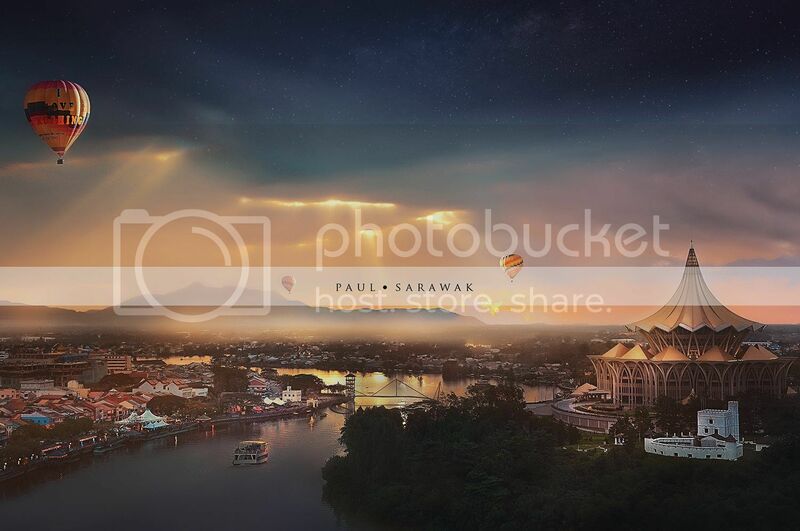 Kuching look magnificent. 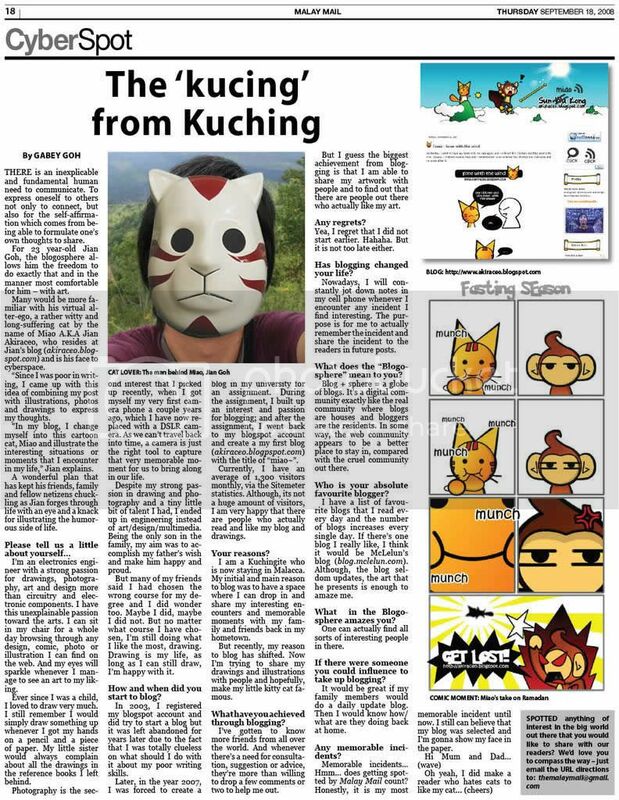 I just came back from Kuching yesterday! There was no sampan available at Waterfront due to the Regatta Festival but since it was my last day there I had to cross the river no matter what to buy Kak Dayang’s kek lapis. I hopped onto the taxi in front of Grand Margherita and I had a heart attack when the driver told me it’s gonna me RM25 one way *crieeesssssssssss too late to jump out of the taxi*. The driver said he could wait for me but I told him no need to because I was a bit furious for being overcharged (although he said discount for me but total RM45 round trip… compared to RM1 sampan ride…). In the end I couldn’t get any taxi after I bought the kek lapis, and there was no sampan available too after walking under the hot sun for quite a while T__T So I asked the policemen guarding the jetty and at first they said all closed… but after telling them I had a flight to catch and I was running late… they gave me a ride across for free!!!! Q____Q *touched*!! So nice!! Kuching’s policemen are so kind! !